TNCC was developed by the Emergency Nurses Association USA since 1983 for the needs of trauma patients; as a means for identifying standards of nursing care based on current knowledge related to trauma. 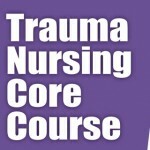 The 2-day course with pre-course online modules is designed to provide the learner with cognitive knowledge and psychomotor skills for the assessment and management of trauma patient by means of lectures and skill stations; so that he/she can effectively perform as an integral part of the Trauma Team using a systematic, standardised approach to delivering the necessary care to the injured patient. Pre-reading of course manuals is a necessity. Registered Nurses should have at least six months of clinical experience in an emergency care setting involving in the management of trauma victims; such as A&E Department, Surgical Units (including Neurosurgical and Burns Units), Orthopaedic Units and ICU/ITU. It is assumed that the course participants have an understanding of emergency trauma care terminology and is familiar with the standard emergency trauma equipment. Upon completion of the provider course and successfully satisfying both the written and practical evaluation, Emergency Nurses Association, USA will issue a TNCC Provider Certificate to successful candidates. 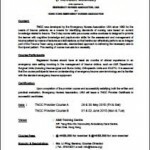 Hong Kong Emergency Nurses Association 香港急症科護士學會.